Carol Anne Grayson (Radical Sister) blog | I studied and write on human rights, War on Terror, socio-political issues. An intra-Afghan conference was scheduled to take place on the 20th and 21st April in the Qatari capital of Doha but has now been cancelled. 1 – A decision was made during the Moscow conference on 6th of February that a similar conference will again be held in Qatar. The Islamic Emirate is still committed to that policy and pledge of an identical conference being held; rather the Islamic Emirate went a step further by agreeing to allow an even larger number of male and female compatriots to attend when compared to the Moscow conference. It was agreed that all participants of the conference shall declare their own personal views regarding the Afghan issue however the Kabul administration officials launched efforts to introduce this conference as a negotiation’s meetings between the Kabul administration and the Islamic Emirate, a position in conflict with the policy of the conference. 2 – All participants attended the Moscow conference in a personal capacity and the upcoming Qatar conference was also planned with similar guidelines from the very first day. Both the hosts of the conference and Qatar made it clear and even stipulated this point in the invitation letters that all individuals shall partake in personal capacity but the head of Kabul administration (Ashraf Ghani and another official Umar Daudzai) repeatedly held press conferences and declared that members selected by them shall participate as representatives of the Kabul administration, a clear attempt at sabotaging this conference and peace efforts. 3 – Just as all the arrangements for the conference were finalized, the Kabul administration officials launched their own bizarre meetings inside the Arg palace, announcing their red lines and conditions, claiming host status for the conference, filing and publicizing a participant list not only ill-suited for the conference site and situation but also having not chance of being accepted. And the strangest of all was the publication of this list before even sharing or reaching an understanding or agreement with the conference hosts, deliberately creating turmoil. 4 – At a time when the policy of the Islamic Emirate is absolutely clear that the initial stage of the negotiations process shall resolve the foreign aspect of the issue – meaning the complete withdrawal of foreign forces from Afghanistan as dialogue with the powerless and crumbling Kabul administration is a waste of time. But even with this policy, over thirty Kabul administration peace council and other officials were accommodated in the Qatar conference and majority of the list was comprised of current and former members and supporters of the Kabul administration partaking in a personal capacity whereas only twenty five members of the Islamic Emirate were to be part of the conference. Yet the Kabul administration still insisted on a 250 member lopsided list which was an inappropriate undertaking. 5 – The Islamic Emirate of Afghanistan reassures its oppressed nation and the world that the Islamic Emirate has made use of absolute patience. The Political Office and Negotiation Team headed by the respected Mullah Baradar Akhund worked day and night, exercised self-restraint and showed flexibility in policy to the highest level; but since Kabul administration officials and secret circles created obstacles for this effort therefore its responsibility also falls upon their shoulders. The Help of Allah and support of nation shall remain with us and the enemies of peace shall themselves come to understand that they miscalculated and were wrong. 6 – In the end we thank all individuals and parties especially the distinguished Qatari officials, officials of Center for Conflict and Humanitarian Studies and sincere peace activities inside the country who aided in this process and tried their best till the very end, may Allah (SwT) reward them for their efforts, specifically those who prepared themselves for the conference. Those eminent personalities who went to Kabul from adjacent provinces and some who even arrived at Doha, we show our utmost appreciation for all their efforts and hope for further resolve in their future efforts. The Islamic Emirate shall continue its legitimate struggle until true peace prevails and an intra-Afghan Islamic system is established, Allah willing. Carol Anne Grayson is an independent writer/researcher on global health/human rights/WOT and is Executive Producer of the Oscar nominated, Incident in New Baghdad. She was a Registered Mental Nurse with a Masters in Gender Culture and Development. Carol was awarded the ESRC, Michael Young Prize for Research 2009, and the COTT ‘Action = Life’ Human Rights Award’ for “upholding truth and justice”. She is also a survivor of US “collateral damage”. Yesterday the Islamic Emirate announced its spring operations to uproot occupation, attain sovereignty and establish an Islamic system. Following the announcement, the military commander of American forces in Afghanistan Scott Miller and Special Representative of the State Department Zalmay Khalilzad showed a strong reaction to the Islamic Emirate’s operation and called it reckless. They must understand that this war has been imposed upon us by you. Defending one’s life, wealth, honor, country, religion and frontiers is the legal right of every nation and human society, and Afghans specifically are extremely sensitive and distinct than to any other nation in the world in this matter. We also wish to remind them that in every meeting during the previous five rounds of talks, the negotiation team of the Islamic Emirate proposed that civilian casualties must be avoided. Your night raids and bombings that mostly abduct and martyr defenseless Afghan women, children, elders and students of schools, madaris and universities must be halted however it was you who ignored those proposals. Khalilzad and Miller are expressing sensitivity to our Jihad and defense while simultaneously supporting the operations declared by the Kabul administration. They must end their crimes against humanity by realizing their own responsibilities. Over the past nine months, the American invaders have raided the homes of Afghans every night and martyred countless sleeping women, children and elders or taken them as captives. Bombs are rained across the country every day, homes, mosques, madaris, schools and clinics destroyed and according to their own admission, 7000 bombs have been dropped on our homeland during this short period. Hence real recklessness and inhumane actions are these war crimes and crimes against humanity and not the Afghan resistance, defense and Jihad. We condemn remarks by Khalilzad and Miller, turn their attention to answering for their own actions and consider their remarks regarding the ongoing Jihadi operations as inappropriate. We also want to clarify that we are committed to the ongoing negotiations process and a peaceful resolution but cannot remain indifferent to the military operations and ongoing crimes of the invaders and their internal supporters. Our believing countrymen and Mujahid brothers! Armed Jihad has been ongoing against the foreign invaders and their supporters for the past eighteen years in our homeland Afghanistan. This Jihadi struggle is yet another proud chapter in the history of Islam and Afghanistan that guarantees the welfare, values, sovereignty and honor of our future generations and holds the keys to our spiritual survival. If our nation had desisted from raising their Jihadi swords against the British, Soviets and current American invaders, today we would have also been like other colonized nations deprived of honor and self-determination and our future generations would have been led astray and alien to our own faith. But it is the Divine Mercy of Allah (SwT) on our people that He bestowed success upon us in these testing times, blessed our nation with the strength to combat and resist the invaders and rescued us from everlasting spiritual decline and downfall. Our Jihadi obligation has not yet ended. Even as large parts of our homeland have been freed from the enemy yet the foreign occupying forces continue exercising military and political influence in our Islamic country. They not only maintain political control of our homeland but daily bomb our fellow countrymen from large military bases, carry out raids with the aid of their domestic mercenaries, inflict human and material losses and oppress our people in a multitude of ways. Moreover, they used the Kabul administration to continue killing Afghans, extending occupation and preventing an Islamic system by announcing Khalid military operations on 1st Hammal 1398 (Hijri Solar). This itself bears testimony that the enemy still seeks to attain its malicious objectives through the use of force and is creating artificial barriers for a complete Islamic system. – Orders of coordinated launch of Al-Fath Operations throughout the country have been given and as intentions are the basis of all worship, all Mujahideen brothers are requested to launch the Jihadi Operation with complete sincerity and pure intentions. Your objective should solely be for gaining the pleasure of Allah (SwT) by eradicating occupation, cleansing our Muslim homeland from invasion and corruption, establishing an Islamic system along with defending and serving our believing fellow countrymen. – Mujahideen are required to observe the principles of obedience during Al-Fath Operations. Your Jihadi actions should conform to Jihadi rule books and in the light of guidance of your superiors. All decrees and recommendations issued by the Military Commission and other related departments of the Islamic Emirate should be strongly adhered to, be they related to daily Jihadi activities or other affairs such as prevention of civilian casualties, precautionary measures, regulations, internal-coordination and ethics. – As (all praise belongs to Allah) the Mujahideen possess unbreakable Jihadi determination and benefit from armed experience, new tactics, public support, influence inside enemy ranks and advanced weapons therefore we are hopeful that with Help from Allah (SwT), large areas including townships and other centers shall be cleansed from enemy presence. Mujahideen brothers must protect themselves from treachery, theft, treason and other prohibited actions in Jihadi affairs. Protecting lives and property of fellow countrymen and guarding public reserves and welfare projects are also part of your responsibilities. – A key part of Al-Fath Operations is peeling away of countrymen serving in the military ranks of army, police and militias and being used by invaders for their own objectives. The Islamic Emirate prefers that they protect their lives and wealth by joining the ranks of truth (Islamic Emirate) instead of dying in the ranks of falsehood. On this basis we again call on troops working in enemy ranks to shun senseless hostility and futile resistance, to join the Mujahideen and gain guarantees of safeguarding life and wealth. – To end we call on our Mujahideen brothers to inaugurate Al-Fath Operations with complete seriousness, sincerity, trust, lofty resolve and high spirits and heal the hearts of the believers yearning for peace and an Islamic system with waves of spirit-raising conquests. Understand that we are followers of truth and Al-Fath (Victory) is always bestowed upon the truthful. Keeping in mind the promises of Allah (SwT), the day is near that the Jihadi aspirations of our martyrs, wounded, prisoners, migrants and oppressed people are fulfilled, an Islamic system established and our homeland cleansed from American occupation and evil elements through ultimate Al-Fath (Victory). As the Kabul administration continues its search for the survival of its corrupt and illegitimate period, it therefore has called for a supposed ‘consultative’ Loya Jirga which shall decide the future of Afghanistan. The Kabul administration and various plots under the name of Loya Jirgas over the course of eighteen years were and are misused as tools for the continuation of occupation and widespread administrative and moral corruption as well as to cement and protect interests of the invaders. The Afghan Mujahid nation understands well that for the past eighteen years under the shadow of occupation, our most cherished historical cultural norms, honor and titles have deliberately been used against Islam and our homeland and the higher interests of Afghanistan in an effort to mislead the Muslim Afghan nation. The superficial ‘Grand Consultative Jirga’ that the hollow Kabul administration is to convene this time around will be no different than the Jirgas and resolutions passed by the supposed ‘Loya Jirgas’ during the end years of the communist regime or that of the year 2013 which approved the extension of occupation and auctioning of Afghanistan under the security agreement. Such plots and processes are never acceptable to the real and devout sons of this homeland and neither are the resolutions binding. The Islamic Emirate – as a representative of the its nation – rejects such fake Jirgas and any participation in them and asks all fellow countrymen to not become victims of enemy plots at such a historically sensitive juncture by abstaining from participating in such superficial Jirgas. The Islamic Emirate is of belief that such efforts under the shadow of occupation are used for protecting the objectives of the invaders and their domestic stooges and are never acceptable nor binding. 1 – The meeting is a conference in which the participants will only be clarifying their views and policies and sharing their stance with others. The said conference is not a negotiations summit or meeting. 2 – No one will partake in the conference as a representative of the Kabul administration. Just like the previous Moscow Conference, any individual who is part of the Kabul administration and is listed as a participant will only participate in a personal capacity and share personal views. 3 – As the conference is convened for the purpose of achieving peace in Afghanistan and exchange of views among various sides therefore any participant disliked by anyone or deemed undeserving has been introduced from their own side and is associated with them. They have not been picked by the Islamic Emirate. 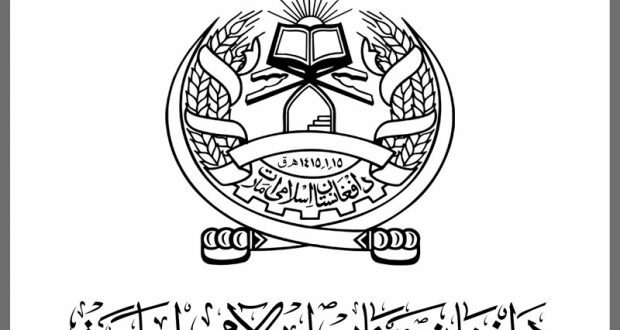 As all countrymen are already aware, an intra-Afghan conference will be held during the middle of this month in the capital of Qatar, Doha, in which a high-ranking delegation of Islamic Emirate shall also participate. Yesterday a participant list of the conference was published showing the number of participants of Islamic Emirate greater than the actual figure. The reality is that only members of the negotiation team of Islamic Emirate and a limited number of extra leaders will be partaking, other names besides these are untrue. Moreover, the published list has not been confirmed, some names included are not present in the finalized list while other personalities included in the finalized list are not present in the published list. Hence the published list is unreliable. On Sunday 3rd March, a mosque and a health clinic was destroyed by the internal mercenary forces in ‘Quzi By Kala’ of ‘Daulat Abad’ district in Faryab province. On Monday 4th March, four innocent civilians were martyred and wounded while five others were incarcerated by the joint forces in ‘Sar Nawa’ area of ‘Shah Wali Kot’ district in Kandahar province. On Tuesday 5th March, nine civilian countrymen were ruthlessly martyred in the multiple blind drone strikes of the savage foreign invaders in ‘Groch’ area of ‘Bad Pash’ district in Laghman province. On Tuesday 5th March, a young student was martyred while his father along with four other innocent villagers were arrested by the so called ‘Zarbati’ mercenaries in ‘Kror’ village of ‘Sabari’ district in Khost province. On Tuesday 5th March, five civilian houses were destroyed while two innocent villagers were martyred during a raid of the joint enemy forces in ‘Gandamak’ area of ‘Sherzad’ district in Nangarhar province. On Thursday 7th March, the village Mulla Imam (the one who leads congregational prayers), two medical doctors, and three other villagers were taken away as prisoners by the savage foreign invaders and their internal mercenaries in ‘Tangi’ area of ‘Nowzad’ district in Helmand province. On Friday 8th March, two civilian people were martyred in the indiscriminate drone strike of the savage foreign invaders in ‘Khojdad’ area of ‘Musa Kala’ district in Helmand province. On Friday 8th March, civilian houses in ‘Nasar Khail’ area of ‘Hisarak’ district in Nangarhar province were raided by the internal mercenaries. In this attack, initially main gates of several houses were blasted; significant amount of valuables were taken away as booty; and eventually the area was indiscriminately bombed, in which, thirteen members of one and the same family including women and children belonging to a local civilian ‘Dr. Nazar Gul’ were ruthlessly martyred, while two more people were injured. On Friday 8th March, a local mosque, a public health clinic, and several other civilian houses were destroyed while seven innocent people were martyred when ‘Hasan Khail’, ‘Joy Zarin’ and ‘Doulat Khail’ villages of ‘Said Abad’ district in ‘Maidan Wardak’ province were raided by the savage foreign invaders and their internal mercenaries. On Friday 8th March, ‘Asghar’ and ‘Douhi’ villages in ‘Aab Band’ district of Ghazni province were raided by the joint enemy forces, in which, thirteen civilian houses and a local shop were demolished, while four innocent countrymen were incarcerated and taken away as prisoners. On Saturday 9th March, ‘Badri’ and ‘Mir Dad Kala’ areas in ‘Waghaz’ district of Ghazni provinces were raided by the joint enemy forces, in which, a local mosque, ten shops, and thirteen civilian houses were damaged while Mulla Imam of ‘Mir Dad Kala’ mosque was arrested along with three of his students. Similarly, main gates of several civilian houses in ‘Baran Kala’ area in ‘Qara Bagh’ district of this province was blasted in bombs; valuables from civilian houses were looted, and eventually two innocent villagers were ruthlessly martyred. On Saturday 9th March, four civilians including a child were martyred due to the indiscriminate bombing of the joint enemy forces in ‘Surkhlang’ area of ‘Murghab’ district in Badghis province. On Saturday 9th March, eight civilian people were martyred when ‘Rakha’ area of ‘Barmal’ district in Paktika province was raided by the joint enemy forces. On Tuesday 12th March, civilian houses in ‘Tatank’ area of ‘Khogyani’ district in Nangarhar province were raided by joint enemy forces. In this brutal raid, main gates of several civilian houses were broken; significant amount of people’s valuables was looted, and eventually six innocent civilians were ruthlessly martyred while two others were taken away as prisoners. On Tuesday 12th March, a civilian transport vehicle, locally called ‘Flying Coach’, was targeted and hit by the joint enemy forces in ‘Sher Kala’ area of ‘Shilgar’ district in Ghazni province, in which, eight innocent passengers were martyred on the spot. When the local people started shifting the dead bodies of the martyred ones, the area was again indiscriminately bombed, in which, ten more local countrymen were martyred and wounded. On Tuesday 12th March, a civilian man and a woman were martyred in a blind drone strike of the savage foreign invaders in ‘Kala Gaz’ area of ‘Grishk’ district in Helmand province. On Wednesday 13th March, three innocent civilians (named Hamidullah, Tor Jan, and Noorullah) were martyred by the savage foreign invaders and their internal mercenaries in ‘Ashkin’ area of ‘Bakwa’ district in Farah province. On Wednesday 13th March, three civilian countrymen were martyred in the indiscriminate bombing of the joint enemy forces in ‘Murad Abad’ area of ‘Tarin Kot’ city, the center of Uruzgan province. On Wednesday 13th March, a civilian vehicle was targeted and hit by the savage foreign invaders in ‘Karo’ square of ‘Marja’ district in Helmand province, in which, all the three passengers on board were martyred. On Thursday 14th March, ‘Haibat Khail’ area in ‘Zurmat’ district of Paktia province was raided by the savage foreign invaders and their internal mercenaries, in which, five innocent people were martyred. On Thursday 14th March, ‘Sheikh Abad’, ‘Zarin Khail’, ‘Noori’ and ‘Kharyan’ areas of ‘Said Abad’ district in ‘Maidan Wardak’ province were raided by the joint enemy forces. In this brutal raid, two mosques were destroyed, some innocent people including the Mulla Imam were ruthlessly martyred while several other villagers were taken away as prisoners. On Thursday 14th March, a woman, a child and two innocent men were martyred in the blind mortar shelling of the mercenary forces in ‘Faiz Abad’ area of ‘Shirin Tagab’ district in Faryab province. On Saturday 16th March, seven innocent countrymen were ruthlessly martyred by the joint enemy forces in ‘Khalazi’ area of ‘Chahar Dara’ district in Kunduz province. On Saturday 16th March, a civilian countryman (named Haji ‘Lawang’) was relentlessly martyred in front of his own family members by the mercenary forces in ‘Saman Khail’ area of ‘Bak’ district in Khost province. On Sunday 17th March, the house of an innocent civilian (named Haji Abdul Jabbar) was destroyed while four local farmers were martyred by the mercenary forces in ‘Shahr-i-Safa’ district of Zabul province. On Sunday 17th March, a local madrassa (an educational institution) was raided by the internal mercenary forces in ‘Pir’ village near the center of Khost province, in which, one student was martyred while three others were taken away as prisoners in badly injured condition. On Monday 18th March, a civilian transport vehicle was targeted and hit by the savage foreign invaders in ‘Khawaj Buland’ area of ‘Narkh’ district in ‘Maidan Wardak’ province, in which, all the four passengers on board were martyred on the spot. On Tuesday 19th March, ‘Dr. Abdul Mohammad’, working in a local health clinic, was incarcerated; his brother was ruthlessly martyred, while two women of his family were wounded by the joint enemy forces in ‘Faulad’ village of ‘Shahr-i-Safa’ district in Zabul province. On Wednesday 20th March, a local Mulla Imam (named Moulavi Mohammad Yousuf) including two other civilian countrymen (named ‘Abdul Baseer’ and ‘Jalaluddin’) were martyred by the joint enemy forces in ‘Spina’ village of ‘Charbaran’ district in Paktika province. On Wednesday 20th March, two innocent people were martyred by the savage foreign invaders in ‘Kunjak’ village of ‘Kala Gaz’ area in ‘Grishk’ district of Helmand province. On Wednesday 20th March, a prison controlled by Taliban was targeted and hit by the joint enemy forces in ‘Sharafat’ area of ‘Sangin’ district in Helmand province, in which, tens of the prisoners were martyred. Most of these prisoners were either mercenary forces or other criminals. On Friday 22nd March, a civilian house in ‘Tilao’ area near the center of Kunduz province was indiscriminately bombed by the joint enemy forces, in which, thirteen members of one and the same family were martyred. In retaliation to this civilian killing, local people largely demonstrated while carrying the dead bodies of the martyred ones. They demanded the immediate end of indiscriminate bombing and brutal raids of the enemy forces. On Saturday 23rd March, ‘Gogir’ and ‘Faqir’ villages of ‘Zana Khan’ district in Ghazni province were raided by the savage foreign invaders. In ‘Gogir’ village, a religious madrassa and a mosque were destroyed; six students of this madrassa were ruthlessly martyred, while three others were incarcerated. In ‘Faqir Kala’, a mosque and its adjacent civilian houses were blasted in bombs by the foreign occupying forces. 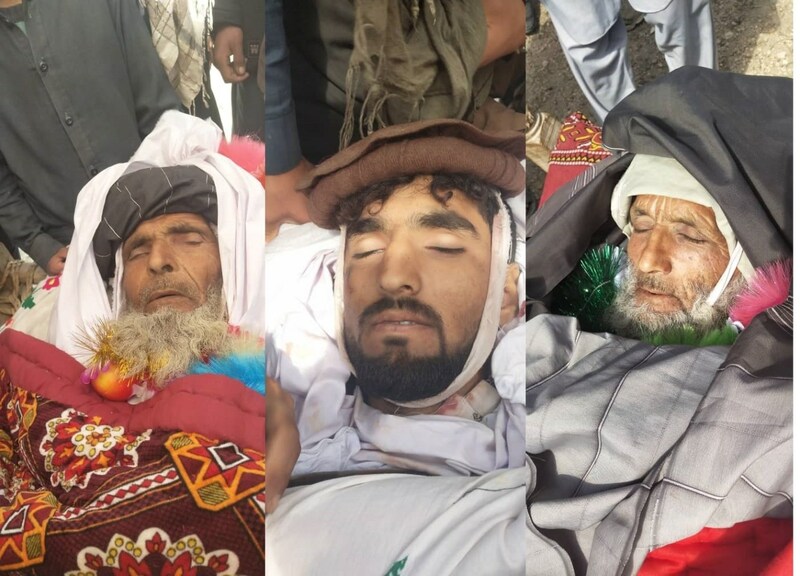 On Saturday 23rd March, six innocent countrymen were martyred and wounded while heavy financial losses were inflicted on the local people during a raid of the savage foreign invaders and their internal mercenaries in ‘Gardi Kach’ area of ‘Behsud’ district in Nangarhar province. On Saturday 23rd March, a local civilian (named Khair Mohammad) was martyred by ruthlessly crushing him under a military tank by the internal mercenary forces in the local bazaar of ‘Almar’ district in Faryab province. On Sunday 24th March, five innocent countrymen were martyred and wounded in the indiscriminate artillery shelling of the internal mercenaries in ‘Dama Gul’ village of ‘Noor Garam’ district in Nuristan province. On Monday 25th March, an aged white-bearded man, three children and four women were ruthlessly martyred in an indiscriminate drone strike of the foreign occupying forces in ‘Shore’ area of ‘Grishk’ district in Helmand province. On Monday 25th March, two Mulla Imams (the one who leads congregational prayers) were martyred in the blind drone strikes of the savage foreign invaders in ‘Kanam’ and ‘Buz-i-Kandahari’ areas near the center of Kunduz province. On Monday 25th March, fourteen civilian people including women and children were ruthlessly martyred and wounded while several houses were destroyed by the savage foreign invaders and their internal mercenaries in ‘Kargo Kalan’ area of ‘Sarubi’ district in Kabul province. On Monday 25th March, five innocent countrymen were martyred while several civilian houses were badly damaged during a brutal raid of the savage foreign invaders in ‘Tutu’ area of ‘Shirzad’ district in Nangarhar province. On Saturday 30th March, the Mulla Nooh Baba Lyceum (a higher secondary school) situated in ‘Yargano’ area of ‘Shilgar’ district in Ghazni province was brought under indiscriminate mortar shelling by the local mercenary forces, in which, four students including one of their teachers were martyred while eleven others were injured.